I like to make sure the snow looks nice and white so I usually set my camera to a brighter exposure. This can mean a few things: either my f-stop is a small number, my shutter speed is slower, or my ISO is high. A brighter photo will make the snow seem whiter whereas a darker photo tends to make the snow look dirty. Just make sure you don’t overexpose your photo! Remember, you can always brighten it when you edit. When it comes to shooting snow, setting your white balance can be tricky. Sometimes your whites might have hints of pink, blue, yellow, or grey tones. Most of the time, I shoot in Auto White Balance and for the most part the camera chooses correctly. But sometimes I’ll switch my camera to Live View and begin flipping through my white balance options until I find the right ‘white’. Some photographers use a grey card but I find this cumbersome and a bit of a hassle. There have been plenty of times I’ve missed out on some really great snowfalls. I won’t feel like going out in the snow so I’ll say to myself, “it will snow again soon.” And then it doesn’t snow for weeks. I’ve learned to just get out and shoot even if I don’t feel like it. I’ve also found out that snow melts faster than I think! If there’s a fresh snowfall and it’s above freezing, the longer you wait, the more it’ll melt off the trees. Wisconsin winters tend to be mostly overcast. We get used to not seeing the sun for days on end. However, if we’re lucky or if it’s insanely cold, the sun will come out! 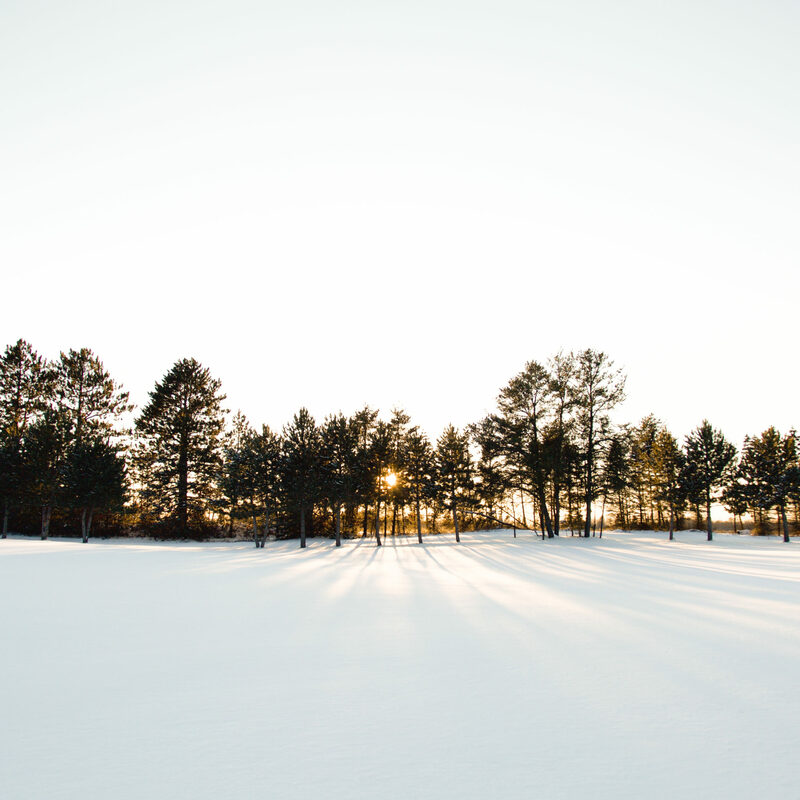 Use this to your advantage – the sun will make the snow shimmer and glisten and will cast long shadows on untouched fields. . Shooting in RAW instead of JPEG will give you more flexibility when post-processing your images. You’ll be able to correct white balance and exposure more easily. Keep in mind that RAW files are much larger than JPEGs and will take up more space on your memory card.